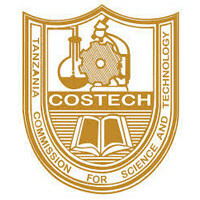 COSTECH invites applications from Public Servants who desire to be transferred to COSTECH for the positions of Chief Research Officer, Principal Research Officer, Senior Research Officer, Research Officer Grade I, Principal Accountant Grade II, Senior ICT Officer Grade I, Personal Secretary Grade I and Principal Technician Grade I.
technology development and transfer; acquires, stores and disseminates scientific and technological information and fosters regional and international cooperation. Holder of a PhD in Physical, Natural, Social, and Engineering Sciences. Agriculture, livestock, Energy, Industries, Infrastructure, Geo Science, Environmental, Economic, Education, Policy, Demography, Sociology, Communication, Documentation, Legal, Business, Innovation and Entrepreneurship, and any other related field from recognized institutions who attained a minimum of an upper second class in undergraduate level with a work experience of at least nine (9) years in a related field in reputable Institutions plus at least ten scientific publications after attaining PhD. Must be computer literate, and fluent in Swahili and English. (vi) Performs any other duties as assigned by superior. Holder of a PhD in Physical, Natural, Social, and Engineering Sciences. Agriculture, livestock, Energy, Industries, Infrastructure, Geo Science, Environmental, Economic, Education, Policy, Demography, Sociology, Communication, Documentation, Legal, Business, Innovation and Entrepreneurship, and any other related field from recognized institutions who attained a minimum of an upper second class in undergraduate level with a work experience of at least seven (7) years in a related field in a reputable Institutions plus at least 7 scientific papers. Must be computer literate, and fluent in Swahili and English. (vii) Performs any other duties as assigned by superior. (v) Performs any other duties as assigned by superior. Holder of a Master degree in Physical, Natural, Social, and Engineering Sciences. Agriculture, livestock, Energy, Industries, Infrastructure, Geo Science, Environmental, Economic, Education, Policy, Demography, Sociology, Communication, Documentation, Legal, Business, Innovation and Entrepreneurship, and any other related field from recognized institutions who attained a minimum of an upper second class in undergraduate level with a work experience of at least three (3) years in related field plus at least two scientific publications after attaining Master Degree. Must be computer literate, and fluent in Swahili and English. (x) Performs any other duties as assigned by superior. Holder of a Master Degree in Computer Science/Engineering/IT from a recognized Institution with seven (7) years working experience in the relevant field. (viii) To perform any other official duties assigned by Superior. Holder of CPA or its equivalent qualifications and registered by NBAA, under “Associate” or “Fellow” category. Master Degree in Finance, Business Administration, or its equivalent qualifications from recognized institutions with at least seven (7) years working experience. Must be computer literate, and fluent in Swahili and English. (ix) Performs any other duties as assigned by superior. Holder of a CSE with Certificate in Secretarial Services from Tanzania Public Service College (TPSC) or any other recognized institution or holder of ACSE with at least 2 principal passes with certificate in secretarial duties from a recognized institution with relevant working experience of at least three (3) years in similar position. 1. Application letter, briefing stating why the candidate qualify for the position. 2. A current resume or curriculum vitae that provides clearly the applicant’s work experience and other relevant information for the job. All applications must be addressed to the undersigned through current employers and submitted not later than 15th August, 2018. Applicants who will not be contacted should regard themselves unsuccessful.